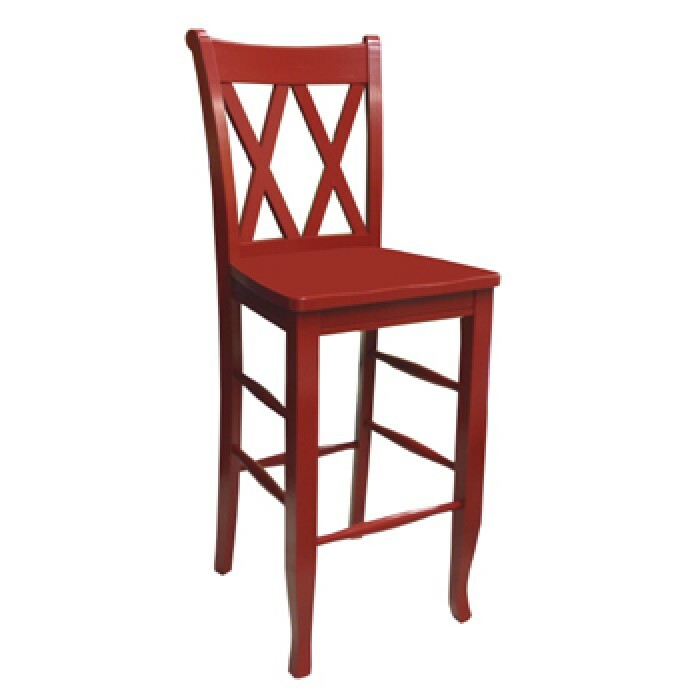 The Double X Back Bar Stool @ 30H is a no nonsense seat offered by Pacific Home Furniture. It features a solid and straightforward design built for functionality. This Seabrook piece is manufactured in the USA. It comes available in several choices of finishes and a wide variety of contrasting colors. Your piece will ship within 8-10 weeks from the time you place your order.